Browns' championship trophy! Get it while it's hot! 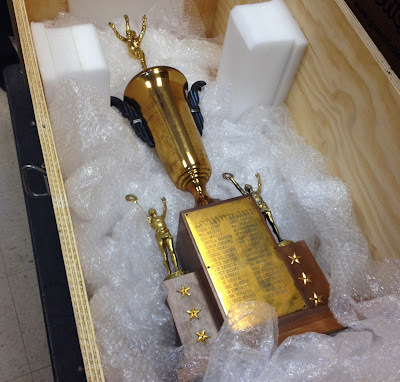 So someone found an until-now-nobody-even-knew-it-existed 1946 trophy from the Cleveland Browns 1946 season? Remember this? Nope? Nobody else does either.